Super PACs are a new kind of political action committee created in July 2010 following the outcome of the federal court case SpeechNow.org v. Federal Election Commission (SpeechNow.org v. Fed. Election Comm’n, 599 F.3d 686 (D.C. Cir. 2010) cert. denied, 131 S. Ct. 553, 178 L. Ed. 2d 371 (U.S. 2010)). Technically known as “independent expenditure-only committees,” Super PACs may raise unlimited sums of money from corporations, unions, associations and individuals, and then spend unlimited sums to overtly advocate for or against political candidates. Aggregate individual limits do not apply to contributions made to Super PACs (SeeFEC Advisory Opinion 2010-11 (Commonsense Ten)). Super PACs must, however, report their donors to the Federal Election Commission on a monthly or quarterly basis as a traditional PAC would. Super PACs are prohibited from donating money directly to political candidates out of their independent expenditure-only bank account. However, a traditional non-connected PAC may open a separate “Super PAC” bank account to solicit and accept unlimited contributions from any individual, corporation, union, or association to conduct independent expenditures while continuing to solicit and accept amount and source restricted contributions (into a separate bank account) for use in making direct candidate contributions (See Carey v. FEC, Stipulated Order and Consent Judgment (August 19, 2011)). Super PACs must file with the IRS as Section 527 political organizations. They do not have to pay taxes on amounts received as contributions; and since they report to the FEC as federal political committees, they are not required to file Forms 8871, 8872 or 990 with the IRS. Contributions to Super PACs are not tax deductible. WHAT CAN A SUPER PAC DO? A Super PAC is a political committee that plans to pay for independent expenditures but will not make any direct or in-kind contributions to Federal candidates, political party committees, or to any other political committee that makes contributions to Federal candidates or party committees out of its independent expenditure-only bank account. Super PACs may solicit and accept contributions from corporations and labor organizations, as well as from individuals and Federal political committees in excess of $5,000 per calendar year. It may not, however, solicit or accept contributions from foreign nationals, Federal contractors, or national banks or corporations organized by any law of Congress. A Super PAC may be connected to a traditional PAC as long as it maintains separate bank accounts for candidate contributions. HOW DID SUPER PACS COME TO EXIST? On January 21, 2010, the Supreme Court issued its decision in Citizens United v. Federal Election Commission. This ruling, among other things, lifted the long-standing Federal Election Campaign Act (FECA) prohibition on corporations using their general treasury funds for political advertisements known as independent expenditures and electioneering communications. The Citizens United opinion invalidated FECA’s prohibitions on corporate and union treasury funding of independent expenditures and electioneering communications. As a consequence of Citizens United, corporations and unions are now free to use their treasury funds on independent expenditures and electioneering communications. Previously, such advertising would have had to be financed through contributions raised by PACs affiliated with unions or corporations. In another 2010 decision, SpeechNow.org v. Federal Election Commission, the U.S. Court of Appeals for the District of Columbia held that contributions to PACs that make only independent expenditures cannot be limited (Stating “we must conclude that the government has no anti-corruption interest in limiting contributions to an independent expenditure group such as SpeechNow.” SpeechNow.org v. Fed. Election Comm’n, 599 F.3d 686, 695 (D.C. Cir. 2010) cert. denied, 131 S. Ct. 553, 178 L. Ed. 2d 371 (U.S. 2010)). The SpeechNow.org ruling found that contributions to PACs that make only independent expenditures could not be constitutionally limited. As a result, these so-called Super PACs may accept previously prohibited amounts and sources of funds, including large corporate, union, or individual contributions used to advocate for election or defeat of federal candidates. WHAT ARE THE REPORTING REQUIREMENTS FOR SUPER PACS? Existing reporting requirements for PACs apply to Super PACs, meaning that all contributions and expenditures have to be disclosed to the FEC. Super PACs must report all contributions aggregating in excess of $200. A Super PAC must also file a letter with the FEC stating that it intends to make independent expenditures and raise funds in unlimited amounts, but that it will not make any contributions to Federal candidates or to Federal political committees, whether direct, in-kind, or by means of coordinated communications (See FEC Advisory Opinion 2010-11 (Commonsense Ten)). “Coordinated” generally means “made in cooperation, consultation, or concert with, or at the request or suggestion of a candidate” (See 11 C.F.R. §§ 109.20-109.23). The FEC has not yet established a way for traditional PACs to establish a Super PAC account (or vice versa). This will likely create reporting challenges to PACs as they must develop new recording and reporting procedures to ensure compliance. It is therefore important to maintain close communication with legal counsel for advice on how to best comply with the law under these new rules. As part of the settlement in the Carey v. FEC case, the FEC agreed that a traditional PAC connected to a Super PAC could share administrative costs “as long as each account pays a percentage of administrative expenses the closely corresponds to the percentage of activity for that account” (Carey v. FEC, Stipulated Order and Consent Judgment (August 19, 2011)). Although the FEC stipulated in court about the allocation of expenses, existing regulations do not give clear guidance, nor has the FEC yet addressed how these cost could be practically allocated. At this point, expenses should be paid on a basis relative to expenditures from each PAC account until clearer FEC guidance has been obtained. 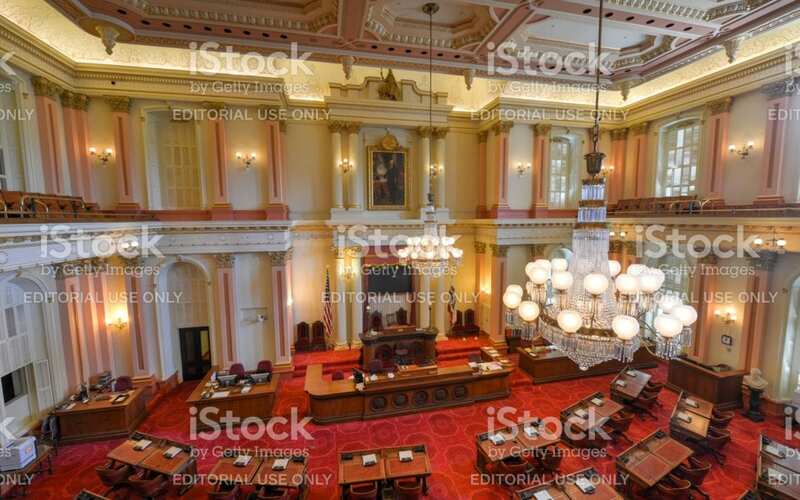 However, the fact that a Super PAC may share administrative expenses with a connected traditional PAC raises several potential unresolved questions for corporate, union and association connected PACs. The main advantage of a connected PAC is the subsidization of candidate-contributable dollars by the treasury funds of the corporation, union, or association who is connected to the PAC. Therefore, it may make sense for connected organizations to consider the potential political benefit of “disconnecting” their PAC and opening a traditional, non-connected PAC with a connected Super PAC account. Such a move would allow the PAC to solicit contributions from the general public, instead of just its restricted class, and would allow it to maintain a separate Super PAC bank account to accept unlimited contributions. Although it is likely too soon to seriously consider “disconnecting” a PAC while there are still so many unresolved questions surrounding the new rules, it may be something connected organizations can consider in the future. CAN FEDERAL CANDIDATES BE INVOLVED WITH SUPER PACS? Federal officeholders and candidates, and officers of national party committees, remain subject to the Act’s amount limitations and source prohibitions when they solicit contributions on behalf of Super PACs (See FEC Advisory Opinion 2011-12 (Majority PAC)). Federal candidates/officeholders may solicit up to $5,000 from individuals (and other sources not prohibited by the Act from making a contribution to a political committee) on behalf of a Super PAC, because those funds are subject to the Act’s amount limitations and source prohibitions. However, Federal officeholders, candidates, and officers of national party committees may not solicit unlimited contributions from individuals, corporations, or labor organizations on behalf of Super PACs (Id. ; see also 11 CFR § 300.64).